Our dental team will deliver high quality, progressive dentistry in an efficient and caring way designed to ensure your comfort. Our knowledgeable staff will educate you regarding all aspects of preventative, restorative, and cosmetic dentistry.  We pride ourselves in our desire and ability to build strong relationships with our patients. Not only will you receive quality dentistry, but you will also be given excellent service when dealing with scheduling, insurance and billing needs. 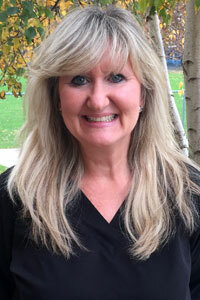 Dr. Debra S. Lowe is a graduate of Case Western Reserve University School of Dental Medicine. Following dental school she participated in Cleveland MetroHealth's General Practice Residency program. 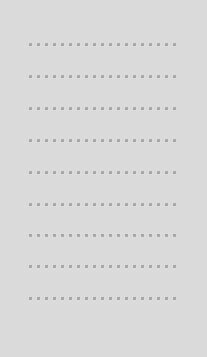 For almost 10 years she had a private practice in Mayfield, which she sold to be a "stay-at-home-mom." Later she spent years practicing in the Cleveland and Port Clinton areas before acquiring her present practice. She believes in addressing the fears of her patients with empathy and gentleness, while providing care with excellence in mind. Based on my dental experiences filled with fear as a child, and my ability to overcome those fears through behavior modification and progressive relaxation techniques, I believe my patients can achieve optimum oral health if their dental experiences are associated with caring, comfort and gentleness. My experiences and resultant empathy is a major factor in achieving this goal. I believe optimum oral health is related to total body health and therefore extremely important to one’s quality of life. Therefore, I am committed to changing the dental experiences of my patients so that they desire and can succeed at obtaining dental treatment with a healthy outcome for life. I enjoy family, gardening, animals, sports, and the sunsets of Lake Erie. 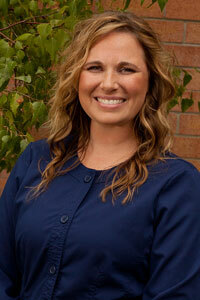 Jamie Tercek, R.D.H is our managing dental hygienist. She has been practicing for 17+years, of which nearly all have been with this practice in. 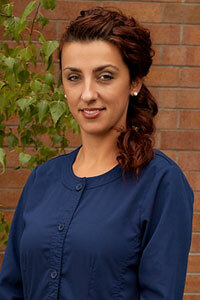 She has a gentle approach and builds strong relationships with her patients. An important goal of hers is to gain the trust of her patients that have poor experiences in the past and suffer from dental anxiety. "These experiences (dental anxiety) are the most rewarding because I can help give them a better experience and help them manage their anxiety. Most of my routine recare patients are those that have been extremely terrified and now greet me with a big smile and new stories about their family. It's about turning something negative into something wonderful." Jaime lives in rural Portage county and makes the trek to Lake county because her patients and co-workers are well worth the drive. She enjoys time with her family, working with essential oils, caring for her chickens and working outside. Jaime and her husband Matt are proud parents of an adorable son. Aleksandra Arabadzic, E.F.D.A. serves our practice as our expanded function dental auxiliary and head assistant. She received her E.F.D.A. Degree from Case Western Reserve University. As an E.F.D.A. Aleks is licensed to place restoration material in prepared teeth after the doctor prepares the tooth. Aleks is a very talented clinician. In her own words: After finishing high school and two years of college in Zagreb, Croatia- Europe, I moved to the United States in 2000. When I arrived I pursued my education in dental assisting. I have worked in this office with this team for 10+ years. I really enjoy working chair-side with the doctor. I pride myself on making our patients comfortable and helping them understand procedures. I speak Croatian fluently which is helpful to our Eastern European Community. Outside of the office I enjoy being a wife and a mom to my two sons. 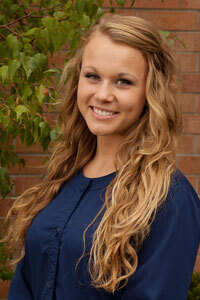 Ashley serves our practice as an administrative assistant since May of 2012. She takes care of our patients at the front desk as well as in the back with x-rays, sterilization and much more. In her own words; I have completed my undergraduate at Cleveland State University with a bachelor's degree in Biology. My future plan is to attend dental school and practice dentistry. Working with Dr.Lowe and her associates has pushed me further to achieve my goals and hopes of becoming a dentist. I get to experience both sides of dentistry from working in the front assisting patients, to working in the back providing the care our patients need. As a whole, our team goes above and beyond, making our patients comfortable and satisfied. 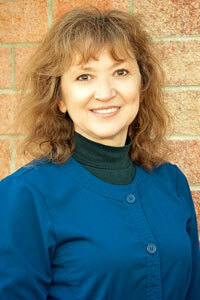 Tish is one of our dental hygienists. She has a Master’s Degree in Nutrition from Case Western Reserve University. After raising her six children, she then earned her Dental Hygiene degree at Lakeland Community College in 2014. She has experience as a pharmacy technician as well, giving her beneficial knowledge when dealing with patients that take medications. Tish has a gentle touch, a very caring heart, and truly enjoys working with her patients. She is a valued member of our team. In her spare time, Tish likes spending time with her family and bicycling in the warmer months. A graduate of the Cleveland Institute of Dental-Medical Assistants, Lauren is a top-level professional with 20+ years experience in dentistry. Always ready to meet and greet patients, Lauren loves to work with others to ensure they receive proper care and have a wonderful experience. Lauren enjoys restaurants, shopping, Cleveland sports teams, and traveling anywhere in the Caribbean.